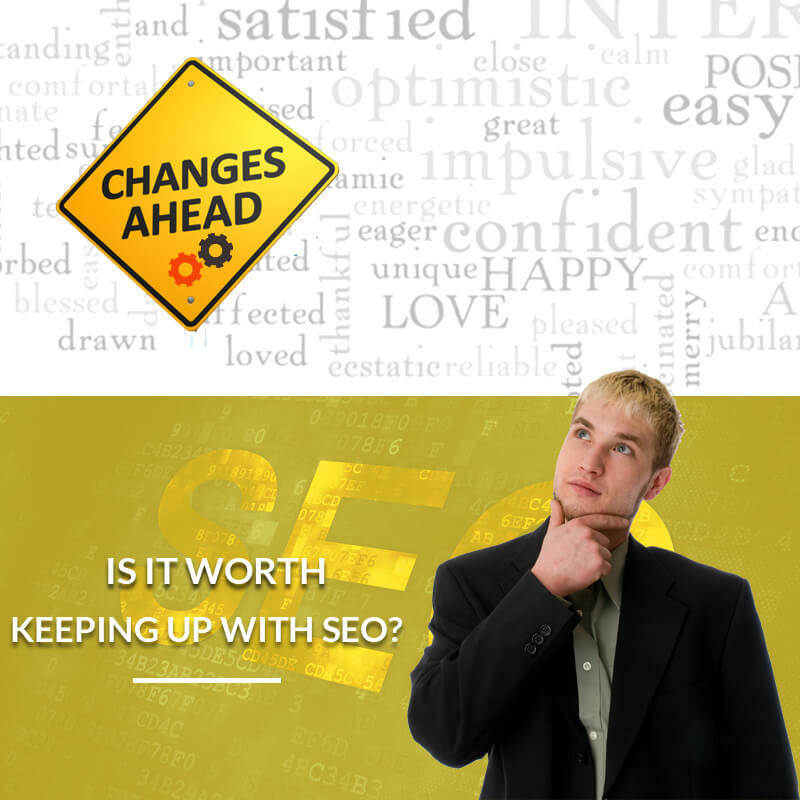 Is it Worth Keeping Up with SEO? Anyone who has followed search engine optimization (SEO) or search engine marketing (SEM) for at least a few months knows that it can be a tall task. The rules of the game are always changing. With all of the changes happening all the time, the value of keeping up has to be questioned. Is it better to just outsource SEO rather than spend the time keeping up with it- time that can be spent elsewhere in your business? Maybe it is even worth it to just ignore SEO altogether? These are questions that many small business owners find themselves currently asking or having pondered at some point in their tenures. The thing that really needs to be understood when considering one’s SEO needs is that more than ever before SEO now reflects aspects of true quality assessment from a customer’s standpoint. In other words, things like content and good reviews- things that have traditionally mattered more in brick and mortar businesses- is something that is coming to the web as Google and other companies optimize their algorithms to serve searchers what they are really looking for. The old days of an SEO “strategy” consisting of keyword stuffing or building any and every backlink possible are long gone as effective measures to improve search rankings. SEO is now just becoming a part of the larger marketing strategy. That being said, it can still be quite effective if modern rules are considered and catered to. Whether it is right for a particular business to do all of this in-house or outsource it depends on the resource availability of the firm, but to completely ignore SEO is just a bad idea now than it was before. Small businesses just need to look at SEO as part of a larger strategy to bring customers in and to keep them engaged enough to keep them coming back. This requires cross-collaboration between your traditional marketing strategists and your SEO experts – perhaps even outsourced to the same firm. Most successful SEO firms have now switched to more of a marketing focused model to address these changes anyway, so it is not hard to find people with the skillset either to bring in as new hires or to hire as contractors and consultants. Whatever you choose to do, it is important to recognize these fundamental shifts in what SEO is so as not to get stuck with a strategy that is costing you money but still doing things that no longer will help your business.